The Geothermal Energy Magazine - Now Available Online - 52 Pages! The January/February issue of the GRC Bulletin is now available to download. 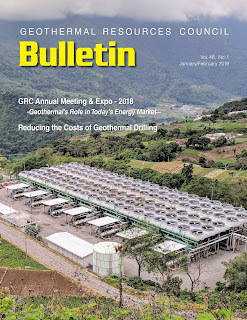 Produced by the Geothermal Resources Council since 1972, the Bulletin is the voice of the international geothermal energy community.